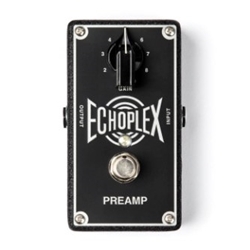 When the Echoplex EP-3 came out, guitar players were hooked by the way its preamp sweetened up their sound. Soon, the EP-3 made its way onto the records of top guitar players--from Jimmy Page to Eddie Van Halen and Eric Johnson--as much for its tone conditioning ability as its tape echo effect. Now, you can put the EP-3's legendary secret sauce right on your pedalboard.